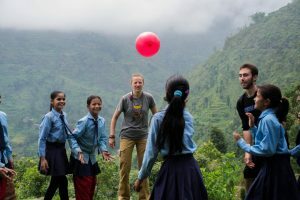 It is a community-based Homestay network that connects global travelers with the real faces for a genuine travel experience in Nepal. As most of the owners of Community Homestay are women or housewives, it – actually – operates to encourage women empowerment and value their traditional skills. Besides, the Community Homestay project also functions to inspire local and indigenous communities to project their culture, tradition, and the environment. Learn to fish like locals from the host family, explore the life of community with locals and see their perspective on life; inspire, get inspired, and make your vacation memorable. Yoga classes & courses. Nepal provides the solitude and environment for meditation which is unparalleled in this part of the world. Nepal has much to offer to those interested in meditation, yoga and ayurveda. There are guided and residential courses for meditation and yoga. 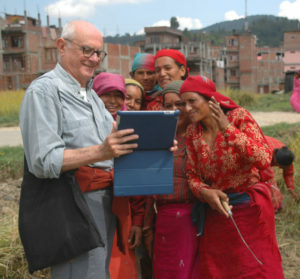 Kathmandu, in particular, is where most of these activities happen. We work closely with Pranamaya Yoga Studio who offer Yoga classes & courses in Thamel, Bouddha, Patan and Pokhara. If a single class or a few classes is not enough why don’t you go in depth. Yoga courses and workshops, retreats or Yoga treks can followed at the Pranamaya Yoga studio or follow yoga courses & classes at the Neydo Monastery in Kathmandu valley! Ayurveda is a Sanskrit word and it consists of two different words; Ayu and Veda. Ayu means life and Veda means knowledge. Thus it indicates ‘The knowledge of Life’. It is not only the science of diseases, but it also deals with Life. Life is known as ‘The union of the mind, body and spirit’. Ayurveda gives us the formulas for living a long life filled with happiness and joy. Ayurveda is not limited to the physical body. It also deals with the mental, emotional and spiritual aspects of life. The packages focus primarily on providing you with a glimpse of the Ayurveda knowledge of self care and touch. About 15,000sq km of the country, amounting to almost 18 percent of the total area, are protected. Nepal has nine national parks, four wildlife reserves and three conservation areas.National Parks: Chitwan, Bardia, Rara, Khaptad, Makalu Barun, Shey-Phoksundo, Sagarmatha, Shivapuri and Langtang. Wildlife Reserves: Shukla Phanta, Koshi-Tappu, Parsa and Dhorpatan Hunting Reserve. Conservation Areas: Annapurna Conservation Area, Manaslu Conservation Area and Kanchenjunga Conservation Area. 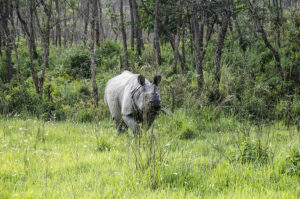 The lowland Terai jungles are rich in wildlife like Bengal tigers, one horned rhinos, marsh mugger crocodiles, gharial crocodiles, swamp deer, musk deer, black bucks, blue bulls, Asiatic wild buffaloes and many more. The parks and reserves are also rich in bird species that include large varieties of babblers and orioles, koels and drongos, peacocks, floricans, and a multitude of wintering wildfowl. A jungle safari in Nepal can be a very exciting experience for you and your family. Experience elephant-back safaris, bush walking, bird watching, dugout canoeing as well as recreational activities and cultural programs. Nepal offers probably the best trekking opportunities in the world with something to choose from for everyone, beginner or experienced. Hiking in Nepal is designed for those without any experience and for those who have little time to experience the Himalayan mountains. All our hikes provide great opportunity to experience the many Nepalese Villages, the beautiful landscapes and the Snow capped Mountains. The home stays where you can see and enjoy the real life make it for some tours even more special. A motorbike tour is an experience to savor. The serpentine roads keep you wondering what the next bend will bring while, at the same time, the excellent gravel roads make riding a pleasure; the cool breeze sharpens your senses and brings a song to your heart. Motorbike tours are for people looking for an insight into the rural life of Nepal along with great views of the evergreen forests of the lower Himalayas dotted with beautiful temples and monasteries along the way. Our motorbike tours will take you around all the three lower zones of the country, giving you a better insight into the life and culture of Nepal. The program has been designed after thorough research and is crafted to meet all aspirations of the adventurous traveler. It is our endeavor to give you enough space, time and mileage to explore the isolated regions, congested lanes, highways and the serpentine roads in the hills. Our bike tour will take you through Nepal on a guided safari to discover the best of Nepalese wildlife, culture and people. When you ride with the leader in off-road motorcycle adventures in Nepal, you’ll enjoy the finest customer service available and the challenge of rugged riding on Enfield motorcycles. Our motor bike adventures are tailored for all – from the novice to expert level riders. Bike tours can be arranged for Tibet also. 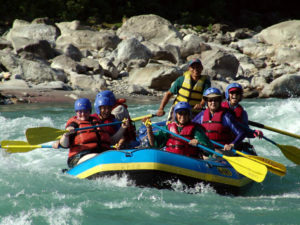 Nepal has earned recognition worldwide for its best white water rafting, kayaking and canoeing. The rivers that thunder down from the high Himalaya churn with ferocity, mixing with melting glacier water to crash through gorges, valleys and tropical jungles on their way to the plains of India. They provide some of the fastest and most challenging white waters in the world. The history of paragliding in Nepal is not long, but it is emerging as one of the fastest growing sports in Nepal due to the suitable weather and best locations to carry it out. Paragliding in Nepal is a wonderful experience, enabling you to enjoy the scenic beauty of countryside and breathtaking white Himalayan mountain ranges. For the adventure seeker, paragliding can be a fulfilling experience and a ride that will take you over some of the best scenery on earth. The flying season in Nepal commences from November through February, the best months being November and December. 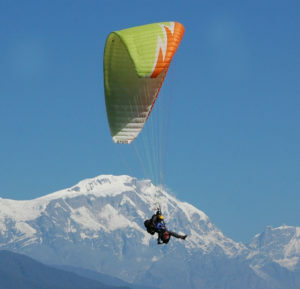 One of the favorite locations for paragliding in Nepal is Sarangkot in Pokhara (1,592m). Qualified pilots provide a short briefing before launching. Paragliding sites include in the Kathmandu area: Mt Monastery, Lakuri Bhanjyang, Shivapuri, Shivapuri New, Hetauda, Shreebran, Dhulikhel. 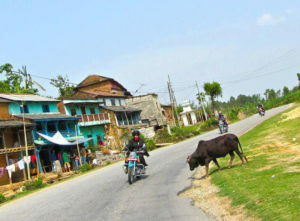 In the Pokhara area: Sarangkot, Diki-Danga, Begnas Tal, Muktinath, Korchon, Nuwakot, Galem, Tansen, Bandipur, Andi-Khola-Sirkot, Sirubari, Dechuli, Karkineta, Chitwan and in the Western Region: Surkhet, and Dailekh. Trekking in Nepal offers one of world’s best trekking routes to and around world’s several highest mountains including Mt. Everest; the highest. 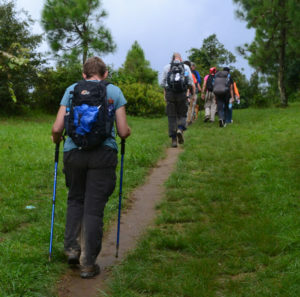 There always have been a remarkable number of tourists traveling to Nepal just for trekking purpose, where there are well estimated trekking options best suited for adventures while exploring the beauties. 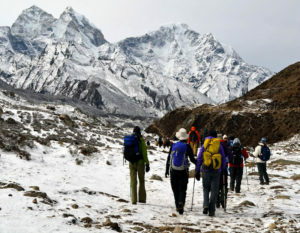 Nepal has 10 of world’s 14 mountains which rise above eight thousand meters, all of which offer each trekking routes. 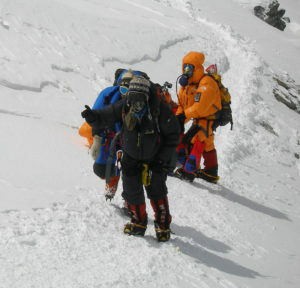 Mountaineering is considered a keystone activity that Nepal offers to climbers, more than any country in the world. The eight out to fourteen 8,000m peaks lie in Nepal, including Mount Everest (8,848m), the highest peak in the world. Ever since the country opened its peaks to climbers in 1949, mountaineering activity has become the most popular attraction, alluring hundreds of adventure seekers to Nepal every year. Starting with the successful conquering of Mount Annapurna by Maurice Herzog in 1950 and the Everest by sir Edmund Hillary and Tenzing Norgay Sherpa in 1953, ever since then, the record setting and glory hunt of conquering these peaks have been the ultimate dream of any climber to attain.